The graph presents the evolution of price of the virtual currency Ethereum from March 2017 to March 2019. 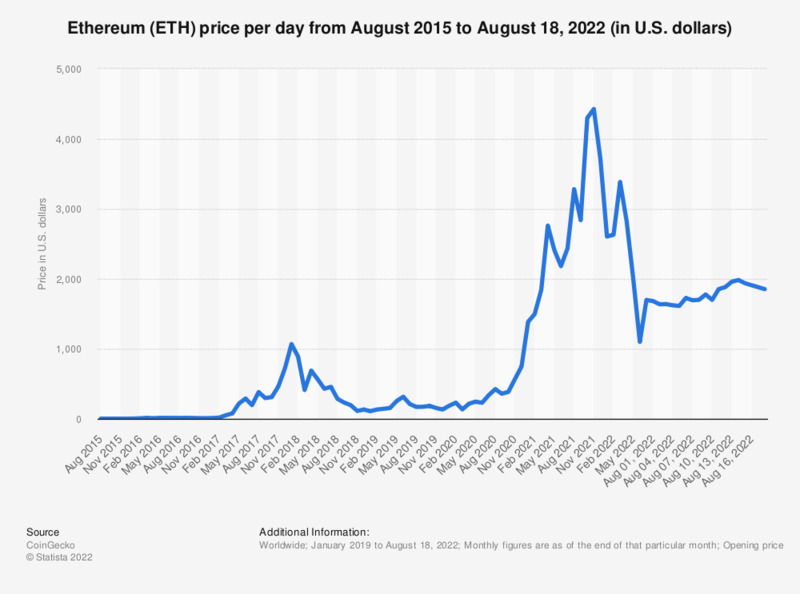 The price of Ethereum for the end of March 2019 amounted to 131.94 U.S. dollars. More information on bitcoin and other cryptocurrencies can be found in our Statista Report 2017. End of period closing prices.